U.S. ambassador to the UN Nikki Haley recently pressed the International Atomic Energy Agency (IAEA) to uses its authority to gain access to Iranian military bases to ensure that Teheran is not concealing activities banned by the 2015 nuclear deal. “Iran’s military sites are off limits,” Iranian government spokesman Mohammad Baqer Nobakht said during an Aug. 29 news conference broadcast on state television. 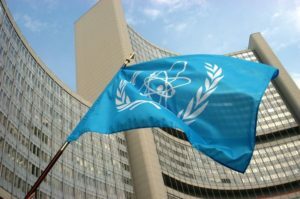 Under the nuclear deal, or Joint Comprehensive Plan of Action (JCPOA), the IAEA can request access to Iranian sites including military ones if it has concerns about activities that may violate the agreement. Rouhani recently threatened that Iran would walk away from the nuclear deal if the United States continued to apply fresh sanctions. U.S. President Donald Trump and other officials in his administration have stressed that they still have reservations about the deal. The head of Iran’s Atomic Energy Organization said last week his country can resume high-level uranium enrichment within five days if the United States tears up the 2015 nuclear deal.